Ship Weight : 31 lbs. Get ready to have ice wherever and whenever you like. With the EdgeStar IP210TI titanium and chrome portable ice maker you can produce up to 28 pounds of ice per day, in a little as six minutes, with no plumbing required. Unlike standard ice makers, this portable ice maker simply requires an 110V electrical connection. 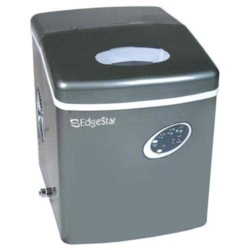 Simply plug EdgeStar�s Portable Ice Maker in, fill its 1 gallon reservoir with water, and sit back and watch as your EdgeStar Ice Maker produces great tasting, customizable cubes for your drinking pleasure. 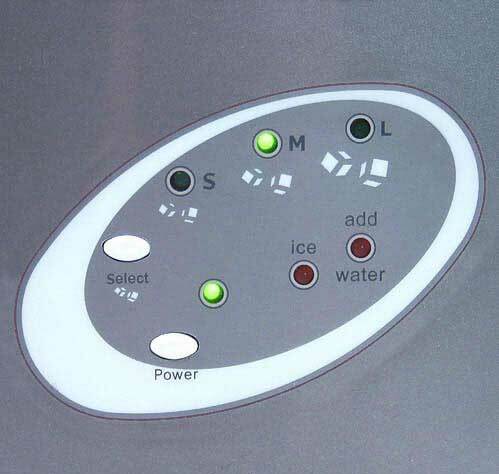 Not only does this portable ice maker enable you to make ice almost anywhere, but you can also select your ice cube size- select small, medium, or large depending on your preference. 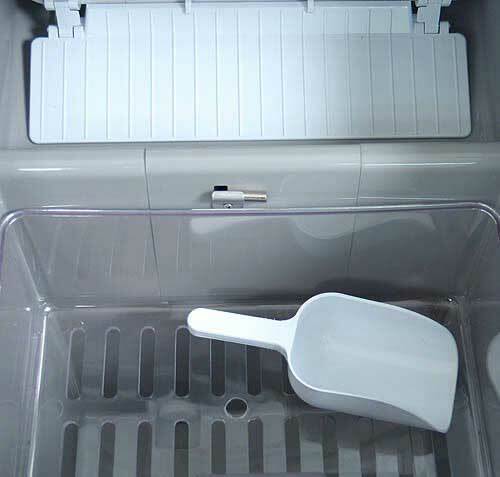 The EdgeStar portable ice maker requires no drain, and any ice you do not use is melted and recycled into more fresh ice! Warranty: 90 days parts and labor. 1 year parts.